Corkers, winemaking - Gino Pinto Inc.
We carry Enolta Mapan motorized corkers and cagers that handle up to 1000 bottles per hour, a pneumatic corker from Zambelli handles up up 600 bottles per hour, and hand corkers from Marchisio, Grifo, and Zambelli. Cat. No. : EMMCSMALTO / Price: See catalog. Cat. No. : EMMCINOX / Price: See catalog. Cat. No. : MLUXSMALTO / Price: See catalog. 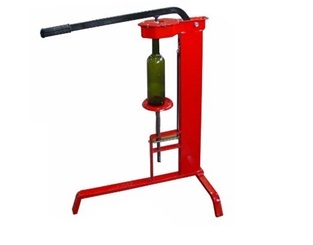 NOTE: The corker is available with a vacuum kit (to create an automatic vacuum between the wine and the lower part of the cork) or a nitrogen kit (which introduces a small amount of inert gas between the wine and the lower part of the cork). Cat. No. : TS3AFSMALTO / Price: See Catalog. This machine is for caging bottles that have been previously corked with a mushroom cork and can be paired with the TS3 corker. Cages are guided using a magnet with automatic turnover of clamping ring. Can be adjusted for different types of bottles (on request also for magnum bottles). 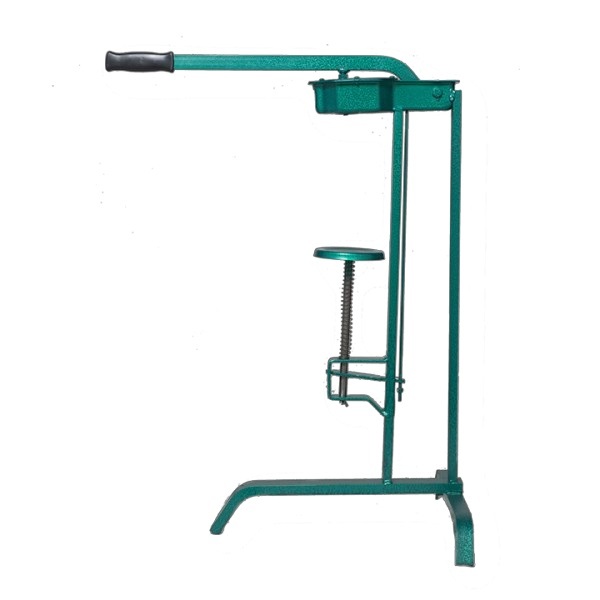 All mechanical parts are manufactured using high resistance steel. Cat. No. : GIS4SMALTO / Price: See catalog. Magnum Bottle Caging. Cat. No. : GIS4MAG / Price: See catalog. 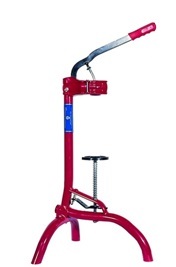 Pneumatic: A 30 gallon, 2hp, 5.5 SCFM @ 90 PSI or larger air compressor is required to run the corker. The corker needs a separate air compressor to operate (not included). This corker is a bench model with no base and requires a table or base. Cat. No. : TG / Price: See catalog. Cat. No. : 7522/F /Price: See catalog. Cat. No. : RJZRLFC / Price: See catalog.